Personalised regenerative medicine is widely accepted as the future of medical science. Stem cell therapy is fundamental to this approach and Woodburyclinic has partnered with BioEden as one its first accredited and registered Clinic to offer this service. BioEden is the world’s first and only specialist biobank to collect, assess and cryogenically store living cells from teeth. Our desire is to make a difference in people’s lives. Therefore BioEden is committed to supporting stem cell research. Founded in 2006 in Austin, Texas, we now have stem cell processing labs in both the UK and USA, which together serve customers across the world. What are stem cells? Stem cells are unique in the body because they can change into other types of cells, which means they have immense potential to enhance and extend life. Stem cells can replace cells that are lost or damaged by injury or disease. This means that under the right conditions they can be developed and grow to form organs, bones, cartilage and tissue as well as having the ability to repair the immune system. BioEden’s patented process is unique – we extract dental pulp from the tooth and isolate the tooth cells from the dental pulp. We perform annual validation to ensure our process can isolate cells from teeth that test positive for Mesenchymal stem cell markers. The tooth cells are then cryogenically stored ready for use should your child ever need them. 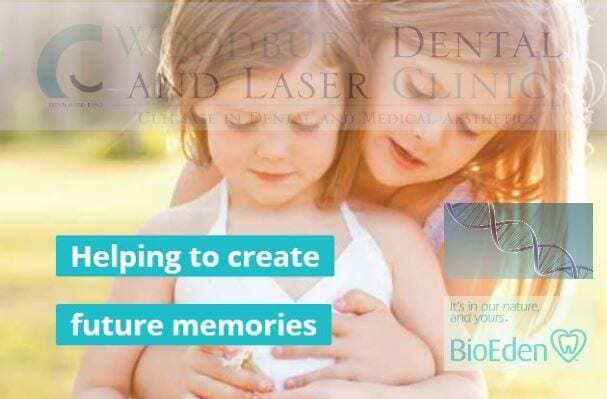 At BioEden the future has never felt so secure – join today and protect your child’s future health. plus the first year of storage in our high-security, twin-location, cryogenic facility. You will have online access to track the process through your very own myBioEden Online App, that keeps you up to date with progress. During the first year you can elect to take advantage of our fixed-price plans that extend the storage plan and guard against future inflation and price rises – for up to 20 years. Or you can continue to pay the annual storage rate as each year comes around. Unlike cord blood banking, the BioEden process is not a one-off opportunity to isolate cells. If the collected tooth sample fails to yield healthy, uncontaminated cells, we will repeat the cell isolation process on another tooth from the same child at no extra cost until suitable, viable cells have been found and stored. You may elect to spread the cost of enrolment to make it more affordable via our payment plan. Our goal is to make the service available to everyone. Total payable £1,015 (£995 plus £20 administration fee). We also offer a 10% discount for any child signed up before their 6th birthday. Alternatively, an easy payment plan is available with guide prices in the adjacent table.